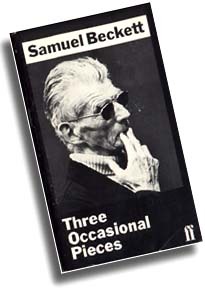 December 22, 1999 marks the tenth anniversary of the death of Samuel Beckett. To pay tribute, we offer our present quiz and a chance to win a book. 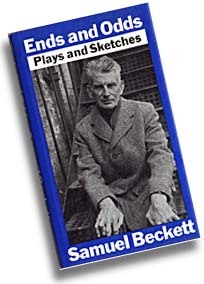 The winner will receive a book of choice of any Beckett work or any book of Beckett criticism or biography. We will continue to receive answers until December 31st. If there is more than one correct submission, the winner will be selected from a draw. All winners' names will be listed. 3. What doctrine of the independence of mind and body expounded by a 17th-c. Flemish philosopher troubles Murphy and Watt? 4. In what did Beckett beat Solzhenitsyn by 12 months? Being awarded the Nobel Prize for Literature. 6. 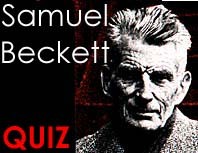 By whom was the Resistance cell in Occupied France in which Beckett was active infiltrated and betrayed to the Gestapo? 7. What was significant about Becketts encounter with a pimp in Paris in January 1938? The pimp stabbed him. 8. What did Beckett describe as "the most distasteful job I ever took on"? 9. If one Hammer, how many nails? 10. Which 3rd-c- French saint provides a link between Beckett and Johnny Cash? 12. Who soaps, thoroughly rinses and dries what or whom before the embers? 13. Who asks "Dung? What would we want with dung, at our time of life?"? 14. Belacquas lunch of choice? 15. 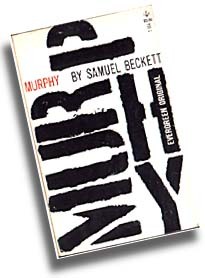 What were the two chimpanzees doing in the photograph Beckett wanted to use on the cover of Murphy? 16. Which of Beckets works takes its title from a late poem by Yeats? 17. A novel by which 19th-c. English "Christian Socialist" did Beckett allude to in the title of one of his texts? 18. Who, in Beckett terms, is the odd one out? 19. To whose painting of two men looking at the moon did Beckett ascribe the inspiration for Waiting for Godot? 20. To whom does Beckett refer in a preface as a "garrulous old dowager"? Quiz composed for TBR by Graham Thomson. This quiz may not be archived or distributed further without the Barcelona Review's express permission. Please see our conditions of use.